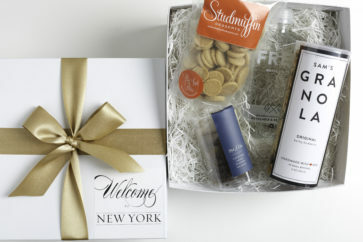 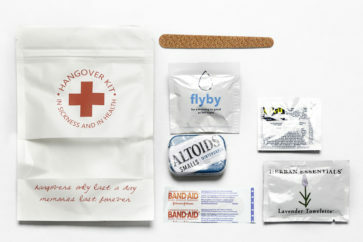 Welcome to New York City with Elite NYC goodies like Studmuffin Big Apple Bites, Mah-Ze-Dahr Cookies, Sam’s Granola and a bottle of Fred Water. All wrapped in a gift box with ribbon and Label. 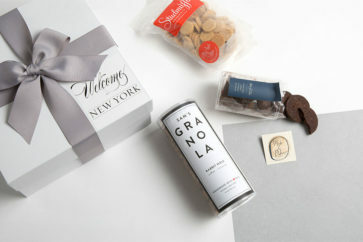 White Gift Box with Ribbon and Label that can be customized.